Les jeux de la Comtesse Dolingen de Gratz / The Games of Countess Dolingen of Gratz. 1981. EN. In Paris, a young woman, Louise Haines Pearson, visits her disturbed friend Nena who tells her that she has just written a book on the history of a little girl troubled by her senses, perhaps because of the tyranny of his mother and the absence of her father. Louise recognizes the difficulties of this little girl, being herself deeply affected by the indifference of her husband. 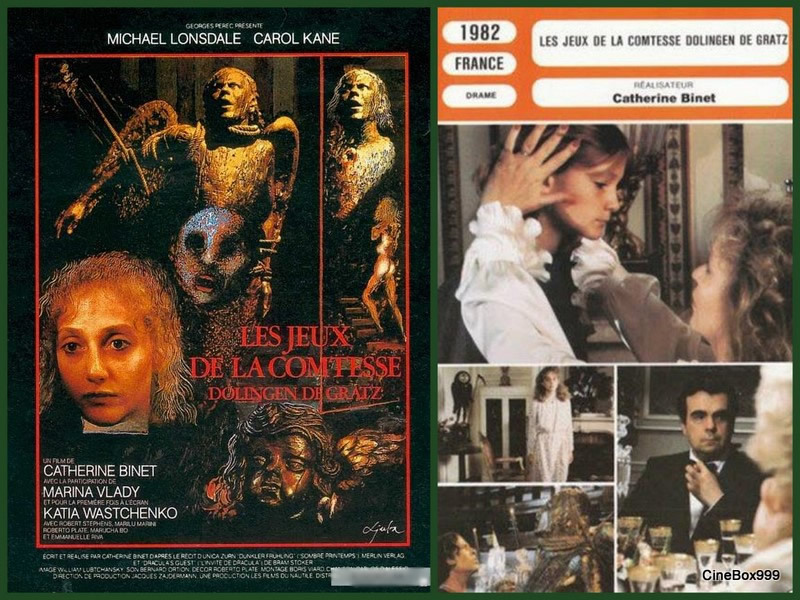 Cast: Michael Lonsdale, Carol Kane, Katia Wastchenko, Marina Vlady, Emmanuelle Riva, Roberto Plate, Marilu Marini, Robert Stephens, Marucha Bo, Antoine Binet, Raoul Escari, Tobie Schumer, Francois Mouren-Provensal. Download Les jeux de la Comtesse Dolingen de Gratz / The Games of Countess Dolingen of Gratz.